Our class teachers are Miss Ash and Mrs Street. We also have Mrs Edge, Ms Williams and Mrs Harvey to help us learn. This term our PE lessons will be on Monday and Friday. Please ensure your child brings their PE kit to school on a Monday and leaves it in school until Friday. We will be using the mystical garden as much as possible for our learning so please bring wellies and raincoats to school. Please also check this page regularly as we will update it with information and all of the exciting learning we have done. The Bible Story of the term is - Psalm 100. As part of this we will be learning about lots of different dinosaurs. We will be also be looking at rocks in our science lessons. Don't miss our Term 3 newsletter! 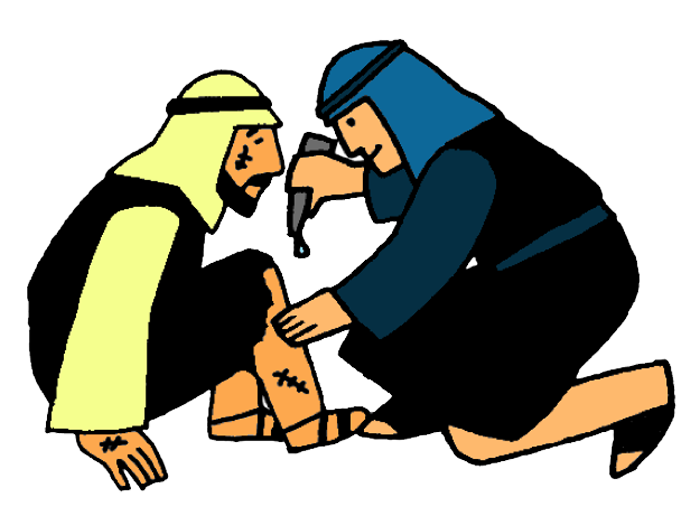 The Bible story of the term is 'The Good Samaritian'.